March 20th in Hack Prevention, Wordpress Tips by Wordpress Jedi . Sucuri is one of the best malware monitoring and clean-up services around. All webmasters have to deal with security and hacking issues once in a while. Using services such as Sucuri would enable them to address security issues in a more proactive fashion. Sucuri not only helps with the clean-up process but it can also check your server files for malware, backdoors, phishing, and other security issues. 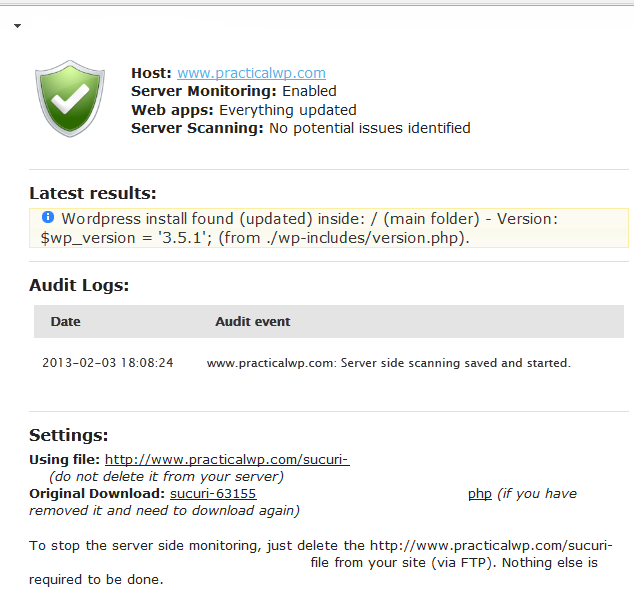 You can always keep an eye on your site by installing Sucuri’s WordPress plugin. Enabling Sucuri’s Server Side Scanning is an even better idea. The server side scanner by Sucuri provides you with deeper security checks. It not only monitors your files for backdoors and other security issues, it also tracks file changes. There are multiple ways to enable this service. 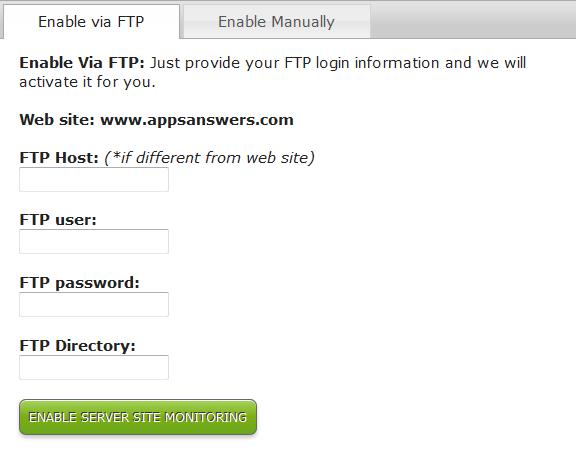 You could always provide your FTP information to Sucuri to get started. Make sure you provide the right directory information if you plan to choose that route. We found the manual feature to be much easier to pull off. The scanner goes through your files and tells you if you have outdated files or potential security holes in your code. It maintains an audit log to keep you up-to-date with server events. Keep in mind that you can always disable Sucuri by removing the Sucuri-xxxxxxx.php file from the root of your site. This tool is currently in beta. It is well worth installing for those of you looking to get maximum protection by Sucuri. You need a premium plan to monitor multiple sites though.